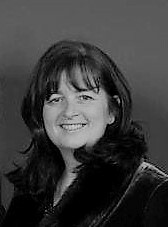 Anne Gregory is one of Ireland’s award winning designers . Combining traditional elegance with a modern twist, Anne has been dressing brides for the last 20 years. The personal touch is important to Anne. She encourages all the brides to bring their own ideas and preferences to their gown. She also likes to ensure that each design is unique, which translates into a bespoke gown that imbues the essence of each bride. Along with the wedding gown she will also advise the brides on how to co-ordinate their accessories and how to theme their wedding around their stunning gown. Quality of service is very important to Anne. Every bridal appointment is guaranteed one-on-one attention with the studio to themselves for the hour long appointment. In addition to her own designs, Anne has integrated a number of designers into her store offering a variety of styles and budgets to suit her brides. Irish Bridal Designer Anne Gregory is located on the outskirts of Newtownmountkennedy, Co Wicklow. The new custom built studio is bright, airy and extremely welcoming to our brides. The studio retains a vintage charm but combines modern elements, such as floor to ceiling windows. The Design blends beautifully to provide our clients with charm and comfort. With fabulous gowns, free parking, and a scenic location; it is an unforgettable experience.